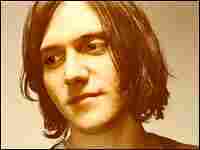 Bright Eyes: The Mellowing of a Protest Singer Conor Oberst, lead singer of Bright Eyes, captured public attention as a protest singer with artistic ambitions. At 27, he seems to have mellowed. "Make a Plan to Love Me" is a gentle throwback to the '60s. Conor Oberst, lead singer of the band Bright Eyes, first captured the public's attention as a protest singer with artistic ambitions that brought to mind Bob Dylan. Now, at the advanced age of 27, Oberst seems to have mellowed. In "Make a Plan to Love Me" (audio), the band adds strings and girl-group harmonies, a gentle throwback to the '60s. Bright Eyes' new album, Cassadaga, mostly shies away from political screeds. Even the album's title is a lighthearted reference to a swampy Florida town with a high concentration of self-described psychics. "When you go there, you just walk down the little streets, and they've all converted the fronts of their houses into their reading rooms," Oberst says. "It's just a sort of magical place."